Uzulu wase Mzinyathini usekhuthalele ukulima engadini yesigabeni. Ingadi leyo iqhutshwa ngomama besigabeni lapho okulinywa umbhida lezinye izilimo ezihlukeneyo. Umbhida ulinywa endaweni ebizwa ithiwe yi Doyana Primary School. Ukusebenza okwenziwa ngomama laba kukhuthazwa yikuthi benelise ukwengezelela imali eyokubhadala indleko zesikolo. Omama bathola inkuthazo ejulileyo ivela kunhlanganiso eye Women’s Institute for Leadership Development (WILD). Kweminye imihlangano eyenziwa eMzingwane District lako Bulawayo, omama bafunda izifundo ezabaqeqetsha ngendlela zokuziphilisa. Uhlangothi lwabomama abalima engadini leyi bayathengisa enye inzuzo abayitholayo. Lokhe uhlelo luqalile sebelokhe bengezeleleka omama abalima kuleyo ngadi. At least 23 women in Umzinyathini community are ploughing vegetables which they use for home consumption and resale. Their desire to embark on the project was influenced by the need to raise tuition fees for their children. Mary Gwanyira is a woman who is based in Umzingwane District Ward 4 (uMzinyathini) where she is working as a community health worker. Her interest lies in the improvement of communities, regardless of gender. She is a beneficiary of a Citizen Journalism training that she received at Women’s Institute for Leadership Development (WILD). Women’s Institute for Leadership Development is a non-profit making organisation registered as a Trust in 2012, based in Bulawayo. 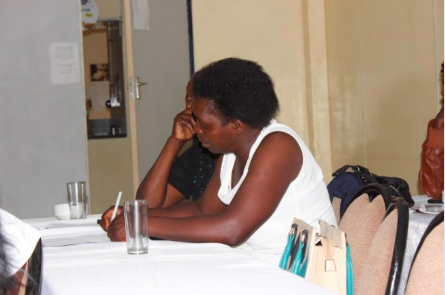 It seeks to invest in building and strengthening power of women’s involvement in leadership and decision-making, both in rural and urban communities of Zimbabwe.